As a rule, I don’t buy penny stocks, and I’ve definitely never written an article about one . Some companies trading as penny stocks may have good intentions from management and actually be on the up and up, but they still lack the industry contacts, products, revenue growth and earnings potential to interest me. I’ve made an exception in the case of Sigma Labs Inc. (OTCBB: SGLB), and that exception is made based on research that I will share in this article. Sigma Labs Inc. is a development-stage corporation that was founded in 2010 by high-level scientists from the world-renowned Los Alamos National Lab. The company consists of two operating subsidiaries: Sumner Associates Inc., which is a consulting firm for government agencies and the public sector, and B6 Sigma Inc., which specializes in the development and commercialization of innovative manufacturing and materials technologies in the additive manufacturing (3-D printing) industry. Sigma Labs is a true microcap with a current trading valuation of just $13.3 million and a handful of employees. To date, the company has not generated a profit and 100% of the modest revenue in 2012 (just under $1 million) came from their consulting subsidiary, and not their additive manufacturing/3-D printing subsidiary. However, revenue from the company’s additive manufacturing solutions and the potential for positive earnings should increase dramatically in 2013 and into next year, due to the commercialization of their patent-pending PrintRite3D technology. In their 10-Q filed in May, probably unseen by many investors, management made some remarkably bullish statements which they have not discussed as yet in a press release. There are no guarantees that Sigma Labs will be profitable soon, but based on their low cash burn rate and total expenses last quarter of just $273,960, the potential for a turn to profitable operations with their PrintRite3D products on deck for commercialization in the second half of this year is very real. The ability of any company to generate meaningful organic revenue growth and positive earnings is largely dependent on new product offerings that effectively address a need or limitation experienced by their customers. Sigma Labs has patented products in advanced munitions and advanced reactive materials and structures that are currently in commercialization. However, management predicts that the major revenue and income driver will be from sales and licensing of their PrintRite technology. Getting the right quality. 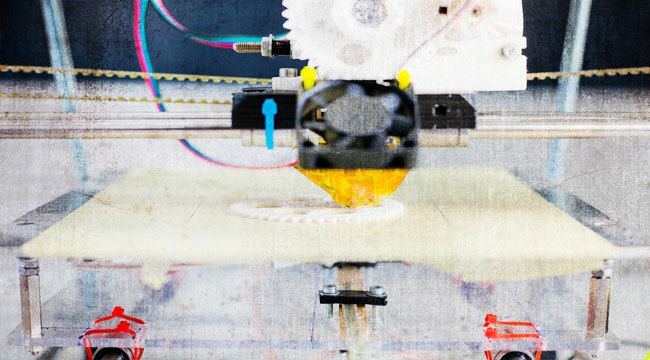 For the most critical applications in 3-D printing like defense and aerospace, there is still a lot of variation part to part, run to run and machine to machine. This requires extensive post-process inspection time and financial resources. Getting the right shape. Because melting of metal powder is a very high-temperature process, layers of parts built up can distort or change shape during buildup. This must be either measured or compensated for to ensure that the right part geometry gets built every time. Once again, post-printing process inspections require additional time and money for customers targeted by Sigma Labs. Current printing speed too slow. On any one region of the part, the buildup speed is 1 cubic inch per hour. Although several parts can be built in a single build run, this rate is too slow to allow 3-D printing of metal parts to go beyond aerospace, defense and biomedical to automotive and general industrial applications. Sigma Labs addresses these issues with The PrintRite3D INSPECT module, which verifies part quality on machine, in real-time, and their PrintRite3D DEFORM module, which verifies part geometry. Beta testing of these Sigma Labs technologies is being carried out in a partnership with GE Aviation, a world-leading provider of commercial and military jet engines and components. The LEAP engine with multiple 3-D printed parts represents a huge market opportunity for GE. Less than two weeks ago, it was announced that they have received over $35 billion in orders for the engine. Sigma Labs, based on their current ratio, isn’t likely to go under even though their current share price seems to suggest they will. Their balance sheet really is quite unusual for a penny stock. Management has definitely been controlling costs while still developing and preparing to roll out what I believe will be a game-changing product for them. Moreover, the company managed to turn slightly cash flow positive in Q1, due in part to a decrease in accounts receivable.